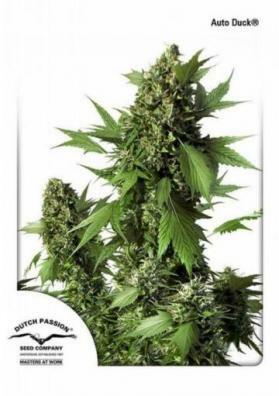 The autoflowering marijuana seeds Auto Lemon Zkittle are a strain with American character, autoflowering coming from the Dutch Passion bank. With an overwhelming power and amazing productions, is a strain that promises unique results. 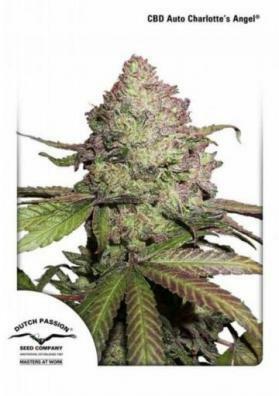 Auto Lemon Zkittle autoflowering marijuana seeds arrive to Experiencia Natural as one of the most potent and productive American autos that have landed in Europe. Result of a genetic selection made with the genetic sales champion in the American dispensers Zkittlez crossed with a Las Vegas Lemon Skunk Auto, this strain is expected to produce a lot and a has very powerful, cerebral and clean effect. What is the structure of Auto Lemon Zkittle? Auto Lemon Zkittle has a medium to high size with a fairly branched structure and long tails of very spiked buds, influenced by its strongly Sativa genetics. It is a plant that needs control so that it does go out of hand and can achieve very interesting results in SCroG crops. How much does Auto Lemon Zkittle produce? The yield of Auto Lemon Zkittle is very high, but the bank does not define specific values for this strain. Anyway we can expect an indoor production that can reach 600 grams per square meter, with less than 20 hours of light. Outdoors, with about 5 hours of direct sunlight, is a plant that can reach the incredible value of 250 grams per plant. What effect does Auto Lemon Zkittle produce? Auto Lemon Zkittle is a very potent strain, in which THC levels can easily reach 21%. Its effect is mainly of cerebral high, very clean and it is recommended for a mainly diurnal use. In the American dispensaries it is a strain very requested because of its more than 20% of THC. What does Auto Lemon Zkittle taste like? Auto Lemon Zkittle has a flavor in which citrus fruits stand out and is accompanied by an intense sweet and skunk background. It is a strain for lovers of lemon and lime and those who like to try unique flavors. How is Auto Lemon Zkittle grown? Auto Lemon Zkittle is a strain that grows vigorously and potently and is easily grown in any growing medium or conditions. Indoors you can distinguish two main phenotypes, one that takes about 75 days and another, more productive, that takes about a week longer. Outdoors is a strain that will take about 100 days from germination to harvest. Cannabinoids: 21% THC; undeclared CBD. Seedling: Spring to summer in outside or all the year with artificial light.